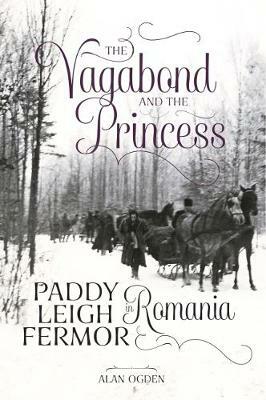 Invention, passion, war and exile are but some of the elements in this revealing new insight into Paddy Leigh Fermor's many Romanian journeys. Starting with the `great trudge' on foot through Romania in 1934 and ending in 1990 with his assignment for The Daily Telegraph following the fall of Ceausescu, The Vagabond and The Princess by Alan Ogden unravels the tapestry of fact and fiction woven by Paddy and reveals in detail the touching story of the love affair between the youthful writer and Balasa Cantacuzino, a beautiful Romanian Princess. After a poignant parting on the eve of the Second World War, they were reunited some twenty-five years later and remained in close touch until her death. Paddy had been the great love of her life. Alan Ogden brings great insight into this enduring and touching relationship as well putting into context the glamorous lost world of pre-WW2 Romania. After a long and enjoyable stint in international advertising and public relations, Alan Ogden decided to change direction and write about the history and culture of Eastern Europe. Alan has written six travel books including Romania Revisited, Fortresses of Faith, Revelations of Byzantium, Winds of Sorrow and Moons and Aurochs. He has also penned a further five books mostly about SOE operations and Hungarian history, edited the official history of the Raiding Forces Aegean, and also wrote the Afterword for the reprint of Billy Moss' War of Shadows (Moss was PLF's partner in the daring WW2 abduction of the German general on Crete). A very useful addition to the Leigh Fermor canon, although the history lesson taking up a significant part of the first 3rd of the book is overlong.